Nestled just outside of Washington D.C. to the south is Mount Vernon, the majestic home of George and Martha Washington. The mansion was built atop a hill with a fabulous view overlooking the Potomac River to Maryland on the other side of the water. The land across has not been developed, so in this aspect visitors to the property are looking at the views pretty much the same way Washington did in his time. In 1858 The Mount Vernon Ladies Association purchased this Virginia property during a time when it was in a state of disrepair. Over the years, the organization has meticulously restored the home to be interpreted the way it looked in 1799, the year General George Washington died. The restoration has been incredible with improvements being made all the time and “tweaks” are also made as new information comes to light. Archeology and analysis of records is ongoing. For instance, in 2014 the organization reopened the formal room (called the "New Room" by Washington since it was the last addition to the home) after learning the paint color and trim were a bit different from they had appeared in Washington’s Day. The results are stunning. Today, visitors to Mount Vernon can experience life through the eyes of George and Martha Washington through this preservation and attention to detail given by the association. After you’ve purchased your admission to Mount Vernon, you’ll note there will be a time stamped on your entry ticket. This is the time you’ll be able to tour the inside of the mansion itself. Depending on how busy Mount Vernon is on the day of your visit, it could be minutes, or hours. Although, sometimes you have to scoot right on over, so be mindful of the time stamp. I think staff will let you in if you miss your time, but on high volume days, it might be worth asking before your visit. Annual pass holders can visit the inside of the mansion at any time. Seeing the inside of the mansion is a must! The Mount Vernon Ladies Association has been able to secure many original pieces of furniture and artwork (and other period pieces where the Washington’s possessions were not available). Some notable items you’ll see in the house include a bust of General Washington, a harpsichord played by Nelly Custis (granddaughter), beds and dishes. A number of prized possessions are also on display, such as the trunk Washington carried during the Revolutionary War and his presidential chair, to name a few. One thing I love to see is the paintings of various rivers in America hung in the "New Room", including the Hudson River. Washington loved the land and this love shows in how he chose to decorate the family home. Additionally, the key to the Bastille given to Washington as a gift by Gilbert du Motier, Marquis de Lafayette, carefully rests on the main hallway’s wall in the position Washington had placed it. The architecture and design of this great house is amazing. This is a model of the "New Room" at Mount Vernon. It was the last addition to the home before Washington's death. It is also the grandest room, used as a formal dining room, gathering room and other purposes. Washington hung his treasured paintings of U.S. landscape in this room. It also reflects his love for farming in the decor on the ceiling and trim. The house itself is a must see, however, after touring the mansion there is not a lack of other things to see and do when visiting the property. Surrounding the main house there are also several outbuildings, these are mostly replicates of the originals and showcase daily life on the plantation during the late 18th century. Inside many of the buildings are original to the Washingtons and/or era artifacts to view. While you can't take photos in the mansion, visitors are allowed to take as many photos as they like in these outbuildings. The grounds and gardens are gorgeous and, at the bottom of the hill along the coast of the Potomac River, you can find the Pioneer Farm and Treading Barn. There are a few things to check out down there, but in the warmer months there are often fun family or living history events going on. Often there are lots activities geared towards the kids too. 16 -sided treading barn designed by George Washington. While down by the river, for an additional fee, there is an opportunity to take a cruise on the Potomac on one of two boats, which run every hour during the daytime (the two boats alternate hours). The ride is about 45-50 minutes. You can buy your tickets at the welcome center when you buy your admission ticket, but if there is availability, I've found you can also purchase your tickets at the boat. Boat rides are seasonal, so check the schedule if this is something you really want to do. President and Martha Washington are buried on Mount Vernon’s grounds. The tomb they currently are laid to rest is one built in 1831, as designated by President Washington in his will (George died in 1799 and Martha 1802). Originally, the family was buried in an older, smaller tomb located on the eastern side of the property. Twice a day, during the months spanning April to October, the public is welcome to attend a daily wreath-laying ceremony and commemoration that takes place at the "new" tomb. The original tomb where the Washington family was buried. Today it is referred to as the "Old Tomb". The new Washington family tomb. General and Mrs. Washington are buried inside the crypt. The large headstones you see on the outside are where other family members are buried. Other places to visit at Mount Vernon include the Donald W. Reynolds Museum and Education Center and the Ford Orientation Center. Built in 2006, these buildings are full of interesting history and artifacts. There is also a kids' room that has special activities relating to Colonial times, Mount Vernon or the General himself, including books, coloring sheets, and dress up outfits, to name a few. It is also common for staff to have a craft for kids to do - if you have little ones, I recommend stopping in here as it is a great way for them to experience Mount Vernon in a way they can relate to. Plus it gives them a place where they can be very hands-on. There are a number of special tours and scheduled events that take place throughout the year. Usually, every season has something special to offer. The holidays are often a great time to visit. Crowds are smaller and you can see the property decked out in festivities (the house itself is very traditional to how it would have looked in 1799, which is not the elaborate decorations located in and around the other buildings). Aladdin, the Christmas Camel, also comes to visit each year. In the 1780s General Washington paid to have a camel visit to entertain his guests. One of my favorite events is the annual Colonial Market & Fair. Each September vendors, performers and living history groups all participate wearing colonial wear. I find it a great event to shop for the holidays and other gift-giving needs. The shops are all items you might have seen or purchased during the 18th century. It’s also a great way to support small business! Entertainment includes sword swallowing, fire eating, puppet shows, flame juggling, colonial choirs, various musicians playing period instruments, and an old-time medicine man show, to name a few. Visitors can also meet and talk to Revolution-era troops and watch re-enactments. President Washington himself also is present to oversee his guests – he has scheduled talks throughout the day and can be often seen chatting with guests. Otto the Sword-Swallower (and fire eater) performs at the 2012 Colonial Market & Fair. When planning your visit, I recommend you check Mount Vernon’s calendar of events to see what types of events are scheduled. Usually, there is something every season. Since I live in Northern Virginia, we usually buy an annual pass and visit a few times each year and usually see or learn something new on each visit. There is also a great gift shop. Even if you don’t want to buy anything, it’s fun to window shop there. Mount Vernon is open 365 days a year. There is plenty of parking, but finding a spot can be hard during high volume times of year. If you can, I recommend planning to arrive early in the day. Additionally, ticket lines are likely to be much shorter. 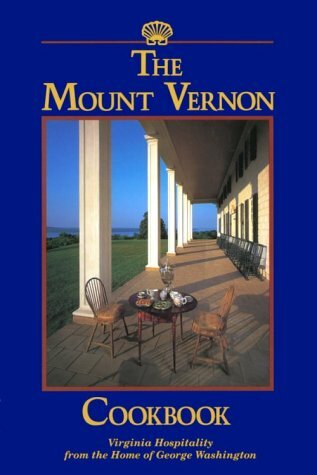 Mount Vernon is located just south of Washington D.C. and is also in the vicinity of Old Town Alexandria, which is a wonderful place to visit. Your love of this property shows in this excellent article. Made me want to visit again. Thanks so much for reading and commenting shar-On. I find it fascinating each season (except it seems sometime over the last year my favorite tree overlooking the river was cut down. It was neat to take photos of it bare and then green and then brownish). A neat experience no matter what time of year though.